Traditionally, customers looking for help and advice are restricted to either connecting with an agent or using a self-service option to resolve a query, giving them little choice in the way they interact with a company. 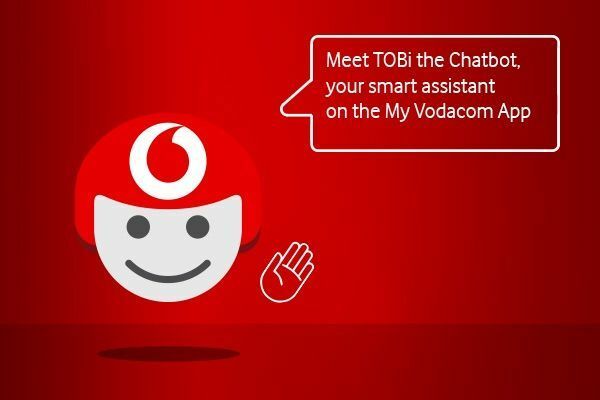 Enter TOBi the chatbot, Vodacom’s newest self-service team member. Offering immediate, relevant support to resolve a variety of customer queries, and always learning new skills and information, TOBi enables Vodacom to deliver a great customer experience through the use of cutting-edge Artificial Intelligence (AI). A chatbot is a conversational computer programme that automates certain tasks through text or voice commands, typically by chatting with a user through a conversational interface. Powered by AI, a chatbot is able to understand complex requests, personalise responses and improve interactions over time. While the use of traditional voice channels requires customers to give up a large portion of their time in one go and often during working hours, messaging apps like TOBi give customers the opportunity to send off a series of messages between doing other activities. They can then rejoin the chat at a more appropriate time. TOBi is built on the latest, leading AI technology, giving customers a conversational experience that can directly solve problems but also seamlessly hand over to a real person when appropriate. Find out more about chatbots with our article 'Chatbots 101: Everything you need to know'. Connecting with TOBi is simple, and can be done using the My Vodacom App. All you have to do is log in to the app, tap ‘More’ and then tap ‘Chat to Vodacom’ under Help and Support in the menu. TOBi’s great at assisting with basic customer enquiries; he can show you your account balances, help you do a SIM swop, get your PUK and even send you your invoices and statements. The more he interacts with customers, the more he learns and grows. This will help to increase the functionality of TOBi over time to the point where he’ll be able to help customers purchase devices and work seamlessly alongside a human advisor within the messaging platform. Instead of browsing through all the options and completing multiple steps when you already know which phone or tablet you’re after, you’ll simply tell TOBi exactly what you want to buy, ask any questions as necessary and complete your purchase online just as you might in-store. TOBi has been developed to allow customers quick and easy access to information and advice and is available 24/7 through the My Vodacom App. As he learns through interaction, you can expect to see him appearing in more places, being even more helpful. TOBI's ultimate goal is to make customer interaction simpler and hassle-free.